November 17th is a date to connect the dots and make sense out of things that seem senseless to begin with. This is a time of great changes, breakthroughs and neurosis, when one's body needs to adjust to a much higher mission in life than meets the eye. People born at this time are different, individualistic, and their special talents are meant to push them forwards. Too much frustration could lead to all sorts of psychosomatic problems and show through health conditions that medicine doesn’t easily explain. A person born on the 17th of November is fast, eccentric and different from the crowds, always seeking innovative solutions to problems at hand and approaches that others won’t always understand. 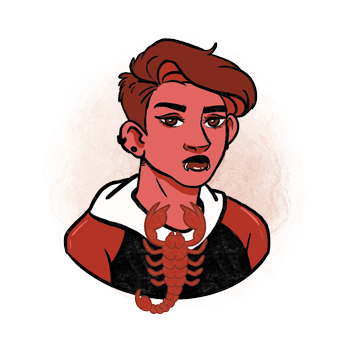 Their special approach to life and its cycles makes them an outcast in some ways, and this could trouble them and make them less confident than they should be. In order to ground their ideas, incredible visions and processes in their mind, they need care for the wellbeing of their body and to commit to making their existence on Earth as pleasurable as possible instead of simply rushing through it. Once they take a step back and create some distance from their social circles, they realize that what they want can be reached only if they go against the tides and stand opposed those who set the norms. A deep change of personality is expected in these individuals, as they separate from the image of their father, outer authority, or status they thought they wanted to pursue. Leading positions could get lost, their ego broken, before they continue in a direction that is humane and truthful to their inner drive. Inside out and upside down, these individuals have something to show to the world, and this isn’t something others will easily see. The frustration coming from misunderstandings and stubbornness of those who choose to hold on to their comfort zone could make them feel lonely or as an outcast. Luckily, there is a tribe to search for and people who think alike will show up in their path more and more often as time goes by. Set on an idea that reaches the core of the issue, they could have quite a battle to commit to in order to get things out in the open and make the change they wish to make. Self-confidence and the authentic approach to life are the primal goals of those born on the 17th of November. On their quest for Self, they could stumble upon ego challenges and find themselves torn between different people, opinions and circumstances that all seem to be useless on the greater scale of things. They need enough distance to pull their ideas through and remember what they can do when they are centered and aware of their true role in the world. A bit burdened by all those situations and close contacts that take away their freedom, they could be torn between their desire to connect with their partner in oneness, and their personal rush to be free from any form of pressure. They need a good friend by their side, someone who won’t limit their movement, but need to raise their awareness to the point where they can actually give freedom themselves. This requires absolute honesty and a relationship of clarity and loyalty with enough dedication on both parties to make it work. Their young years are often colored by strange and changeable relationships, short-term commitments that aren’t really commitments at all, and approaches to intimacy that might be a bit out of tune from their heart's needs. Sexuality needs to be in touch with their deepest emotional cravings or it won’t give them the satisfaction they seek. To give in and trust someone, they are to found their romance on solid and understanding communication, shared causes and ideas, and enough personal freedom flowing both ways. 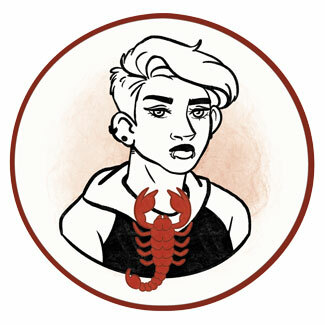 A Scorpio born on November 17th feels good in a workplace where things change often enough, in a modern environment, and does well with computers and technology that is way ahead of our time. They are scientists, programmers and managers, turned to non-government facilities and projects that are freelance and turned to the wellbeing of the collective consciousness. They could fit into a team as if they were always meant to be a part of it, but also go to another extreme of standing out until they are cast out by circumstances or other people. Excellent friends to those who share the same frequency, they do well with people for as long as they keep their personal space intact. To help with memory loss or thoughts that are too fast and spin out of control, diaspore is an excellent choice of stone for those born on November 17th. It will help them organize their mind and get it in tune with the past and the present in ways that are productive and meaningful. It is a crystal that aids adaptation to change, relieving them from stress and burnout that is typically following intense steps they take forwards and against the rest of the world. For the birthday of someone born on the 17th of November, you should organize a surprise party where their special circle of friends will be invited. Think about some fireworks, electronic music, or a modern club where people are free to dress as they like. They will enjoy a piece of clothing in irregular patterns and colors, something silver, shiny and asymmetrical, or a new piece of equipment they can type their thoughts into. An exotic mind gives them the advantage to move quickly. They are good friends, flexible and free to express their authentic nature, with a great mind to brainstorm and think of new solutions to problems that need to transform into something useful or entirely different. Torn between outer expectations and their own desires, they could feel inadequate and limit movements of others trying to push their ideas through. When oppressed, they get stressed, neurotic, and too unpredictable in environments that require stability to make progress. In 1942 Martin Scorsese was born, an American director, screenwriter and historian, known to address issues of guilt and redemption, gang conflict, modern crime and faith in his movies. He has been a supporter of the David Lynch Foundation's initiative to help veterans overcome PTSD through transcendental meditation. In 1944 Danny DeVito was born, an American actor and director, recognized for many roles in movies such as Romancing the Stone, Big Fish, L. A. Confidential and others. His short stature is the result of a rare genetic disorder affecting bone growth. In 1960 RuPaul (RuPaul Andre Charles) was born, an American drag queen, actor, singer and model, considered to be the most commercially successful U. S. drag queen. Indifferent toward the gender-specific pronouns people use to address him, his Uranus bound nature is quite obvious to see. 1800 – The first session of the U. S. Congress is held. 1820 – Antarctica is seen by an American man for the first time. 1839 – Opening of the first opera of Giuseppe Verdi, Oberto. 1869 – Inauguration of the Suez Canal in Egypt that links the Red Sea with the Mediterranean Sea. 1933 – The Soviet Union is recognized by the United States. 1947 – Basic principles of the transistor are observed by scientists John Bardeen (born on May 23rd) and Walter Houser Brattain (born on February 10th).